Former Bond Pierce Brosnan is a murderous, Indian-scalping oil tycoon in The Son, and ANDREW JOHNSTONE is here to give it the thumb’s up. 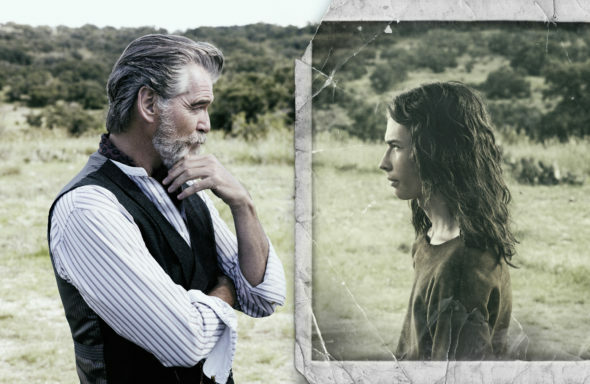 Up in the new releases section at Lightbox was The Son starring Pierce Brosnan. “Ugh,” I thought, and then wondered at my reaction. What was that all about? Pierce Brosnan hit the big time with 1980s hit TV series Remington Steele. I could recall nothing about it except that his co-star was Stephanie Zimbalist. I always thought Zimbalist a curious name. It’s Russian as it turns out. No Breaking Bad, this romantic comedy was more like candy on a stick, satisfying in the moment but easily forgotten – which is how I perceived Brosnan. His first wife Cassandra Harris landed a role in a For Your Eyes Only (1981) and came away thinking her husband would make a great Bond. She didn’t live to see it happen, succumbing to cancer in 1991. Bond made Brosnan famous and since retiring from the roll in 2005 he has maintained a healthy A-List film career. Notable successes include the Abba musical Mama Mia and thriller The Matador. His television appearances have been sporadic and The Son is his first series lead in 30 years. Brosnan’s symmetrical face sits nicely in Eli McCullough’s sculpted grey beard, and no… age has not diminished this man’s beauty. At 64 he might be described as ‘silver’ or ‘fine wine’, much like Eli. Eli rides, drinks, shoots and schemes. He cuts off ears to get information and swings rope around the necks of interlopers. He is a man bound to no law but his own. “You’re the devil,” says his favourite son Pete late in Series One, and he doesn’t mean it in good way. 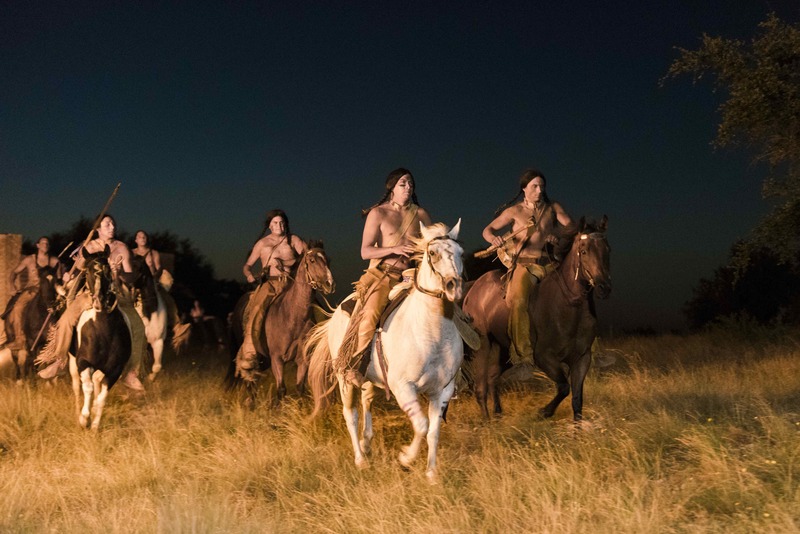 The Son has taken its style cue from the 1989 TV adaptation of Larry McMurtry’s 1985 novel Lonesome Dove, a straightforward production template against which creator Phillip Meyer has added a layer of untarnished political subtext to contrast McMurtry’s ‘rose tinted’ Texan mythology. McMurtry’s Texas Rangers are heroic figures. In Meyer’s Texas the Rangers are killers being paid to cleanse land for white settlers. In one scene, teenage Eli (played by a persuasive Jacob Lofland) takes down a Ranger who is about to kill a Comanche ‘associate’. “We just want them off our land,” screams the young man, as Eli lifts his scalp. Kidnapped and enslaved by Indians, Eli’s back-story is one of the series’ great strengths, and through the eyes of Eli the younger we get to experience the last gasp of traditional Comanche society while examining the circumstances that made Eli the man he is. Eli McCullough is Machiavellian, murderous, deceitful and self-serving, a microcosm of the wider community to which he belongs. The Law And Order League is the precursor of the KKK and is active in the nearby town. Led by the odious and manipulative Saloon Keeper Niles Gilbert, we get another account of ethnic cleansing. Whenever there’s a problem or a scapegoat/distraction needed, Niles ramps up the rhetoric and Mexican blood is spilt. Meyer’s Texas is helmed by self-serving men, and many will recognise the parallels with Trump’s America. This seems to be Meyer’s point: The American Dream is built on blood, exploitation and careless sin neatly hidden behind a veil of self-aggrandising myth. His other point seems to be is that nothing has changed. Exploitation is still a revered American pastime. 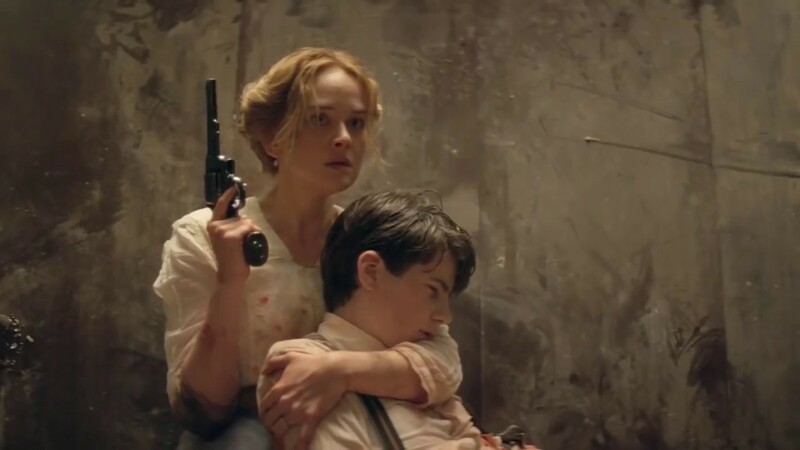 The Son is an intergenerational family drama drawn from a line of particular ruthlessness that runs through the McCulloch genes. McCulloch senior and his eldest son Phineas have it, and it has not escaped Eli’s eye that his teenage granddaughter Jeanie might be cut from the same cloth, as he sets about ‘educating’ her. After all, she is going to be the custodian of the oil wealth that is to be his legacy. Yes, there is oil under the land, and Eli is about to do the worst a man can do in order to secure full access to it. Beware the Garcia’s next door. This gentle family of wealthy Mexican ranchers caught on the wrong side of the border have placed their trust in American law and believe that no matter what, they will be protected by its tenants. Their faith, it turns out, is misjudged. The Son is not perfect and sometimes Brosnan looks a little uneven as he tries to lay out the workings of a sociopath, but that’s a quibble. Mostly, his Eli McCulloch is compelling, and if you are prepared to suspend your disbelief, the series whips along like a mad thing on a hot day. 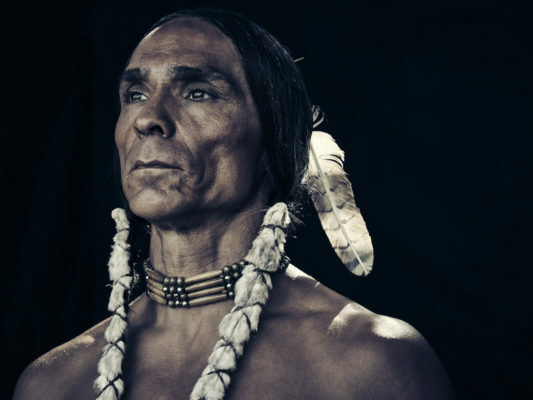 Zahn McClarnon is special as Comanche chief Toshaway, and his grace and poise almost steal the show. As for Brosnan, I was so taken with him that I am going to go back and have a look at some of the many Brosnan movies I have missed over the years simply because I was nursing an unwarranted prejudice. His Kiwi counterpart, A-Lister Sam Neill was due to play the role but pulled out for personal reasons. I doubt Sam could have done it any better. * The Son is currently streaming on Lightbox.